Sales are expected to top $ 111 billion this year and, already, businesses are vying for shoppers and their dollars. Newspaper circulars are getting larger, and in-store discounting is more prevalent. 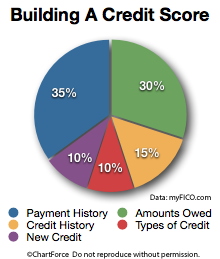 For soon-to-be homeowners, or would-be refinancers , credit scores are worth keeping high. This is because credit scores change the mortgage rates and/or loan fees for which an applicant is eligible.